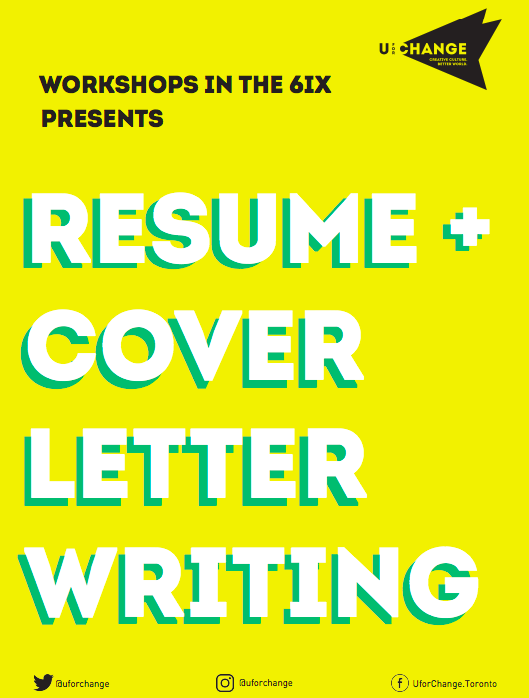 U For Change | Resume and Cover Letter Writing for Artists Workshop! 26 Nov Resume and Cover Letter Writing for Artists Workshop! Next Wednesday, November 29th from 6-8pm, we will be holding a ‘Resume and Cover Letter Writing’ workshop for artists led by Jenny Tran. This workshop will we held at our studio and is open to alumni and community members ages 16-29. Sign up by clicking the link below to sign up for the Workshop!